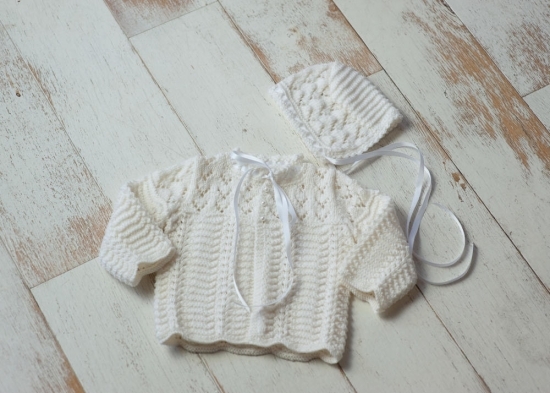 This little jacket and bonnet set will surely become a keepsake. The scalloped edgings on the jacket give it a beautiful and original finish The intricate stitching results in interesting textures and pattern. The bodice has three pearl buttons and neckline has a silk ribbon for closure. Made of 100% baby merino wool for warmth and durability.